The Toro Recycler 22-inch Kohler Self-Propelled Gas Lawn Mower features variable-speed functionality and front wheel drive with a Kohler engine (CARB compliant). This design is great for homeowners seeking a lawn mower with a high-quality, user-friendly design and excellent mulching capability. Toro products are known for smart features and proven dependability you can count on. With the high quality user-friendly design, the Toro 22 inch Recycler PoweReverse SmartStow Personal Pace Mower is the perfect product for your outdoor job. 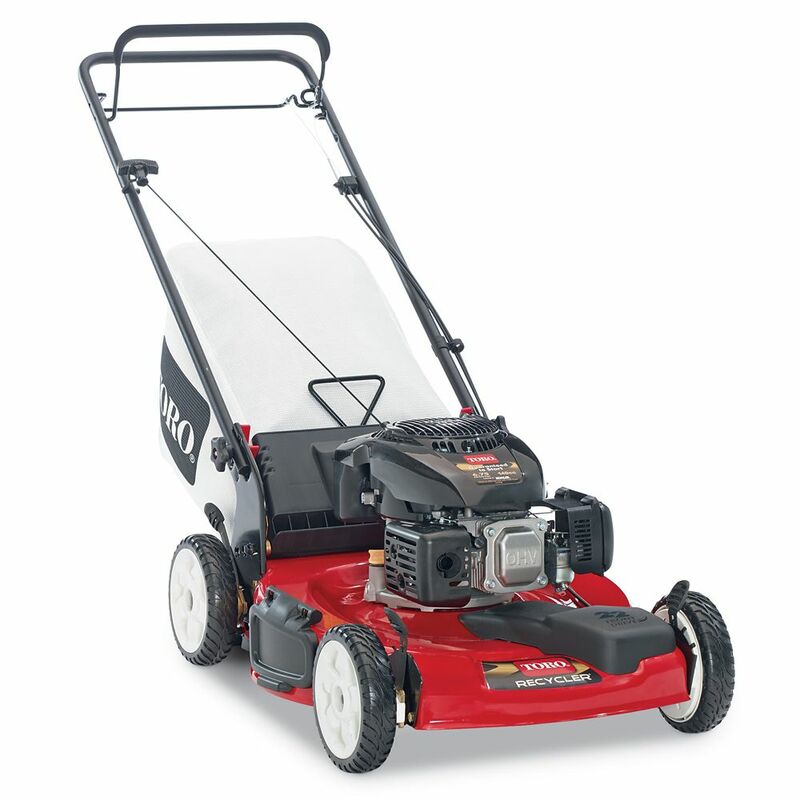 Powered by a durable Briggs & Stratton engine, it is designed for years of peak performance. It also conveniently stores upright to save space in your garage. 22-inch Kohler Low Wheel Variable Speed Gas Self Propelled Mower The Toro Recycler 22-inch Kohler Self-Propelled Gas Lawn Mower features variable-speed functionality and front wheel drive with a Kohler engine (CARB compliant). This design is great for homeowners seeking a lawn mower with a high-quality, user-friendly design and excellent mulching capability. Toro products are known for smart features and proven dependability you can count on. 22-inch Kohler Low Wheel Variable Speed Gas Self Propelled Mower is rated 3.7 out of 5 by 1607. Rated 5 out of 5 by Trim0Mower from Nice mower, worked as advertised. ... Nice mower, worked as advertised. Rated 4 out of 5 by HomeDepotCustomer from Was very easy to assemble. Self propel does not work... Was very easy to assemble. Self propel does not work as well as the last mower I had. I got my workout that's for sure. Rated 1 out of 5 by Wantedtolikeit from Self propelled broke after one day. Returning. Everything else was great. Easy to start. Easy... Self propelled broke after one day. Returning. Everything else was great. Easy to start. Easy to use. Until it broke. Does the self propulsion work on hills ? About 40 degree angle ? Does this mower have a height adjustment for how high/low the grass is cut?